I think veggies are the "bee's knees". And while I don't know what that statement actually means or where it derives from, I do know that I have always, always, always loved my veggies. My parents never had to beg me to eat them. I never put up a fight when told to eat my peas (my favorite). Veggies are near and dear to my heart palate. So that's why I love making and eating this for work lunches. Especially because it requires basically zero instruction. 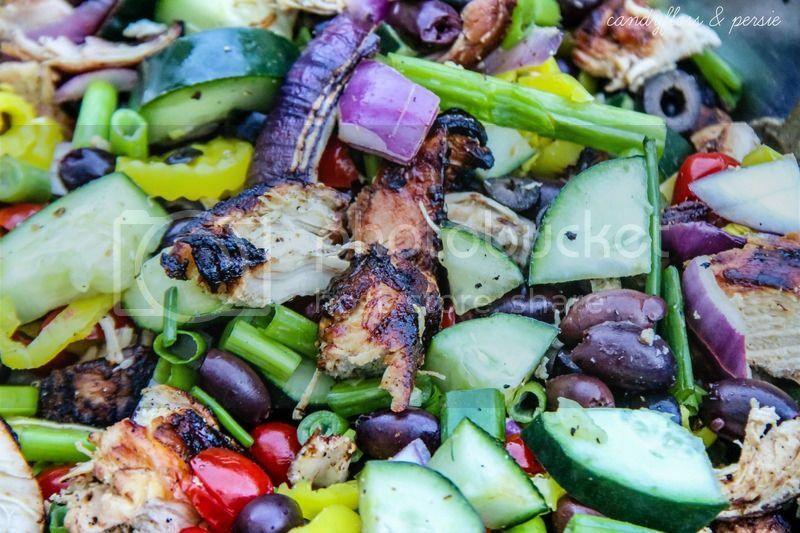 Mix together pepperoncini, sliced cucumber, diced cherry tomatoes, crunchy chopped celery, shredded green, cut red onion, kalamata olives & grilled chicken (grill your red onions too if you want extra, extra flavor). 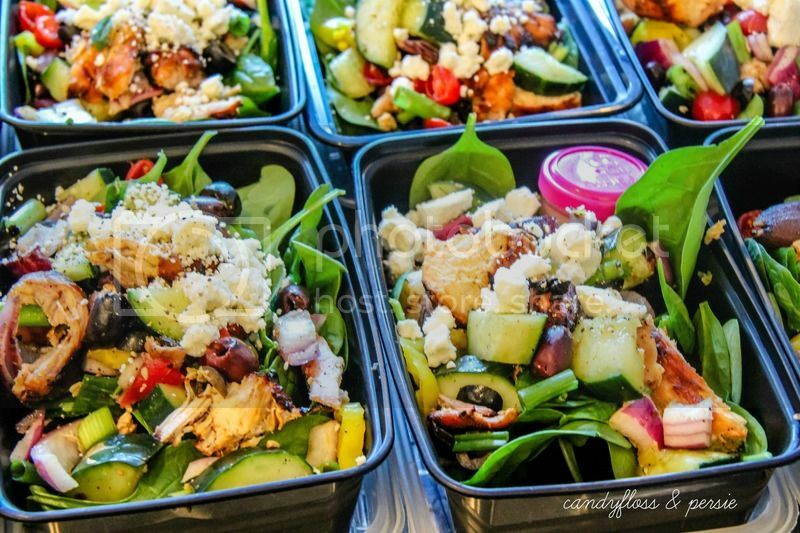 Pack for work over a bed of spinach and with a side of Greek vinaigrette. Top with feta crumbles. Dress at the office. Then eat, savor, enjoy - and be so happy and proud that you took the time to pack your own healthy, amazing lunch. This looks insanely good. I have to try it for lunches! This looks so good!! I would totally eat this everyday for lunch. Chicken and veggies are basically all I eat haha they are the bees knees, the mutts nuts, the cat's pajamas and tickety boo. This looks absolutely delicious!!!! And healthy!!! nom nom nom!! now that the weather is nice, it's time to bust out the grill. this looks SOOO good. 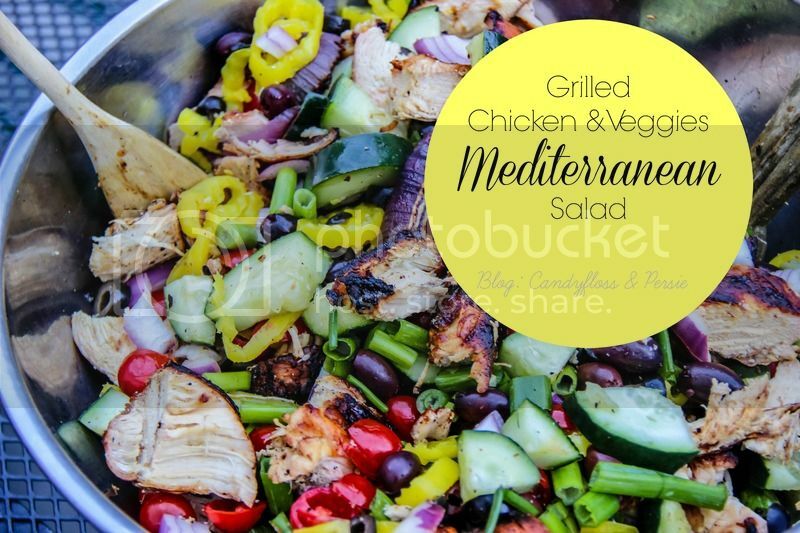 That sounds delicious, and I always love a salad that has a Greek twist! I have to admit that I was the absolute worst about eating veggies growing up. I pretty much just ate romaine lettuce and carrots, but now that I'm an adult, I actually do eat way more veggies than I used to! And they really are so delicious and good for you! 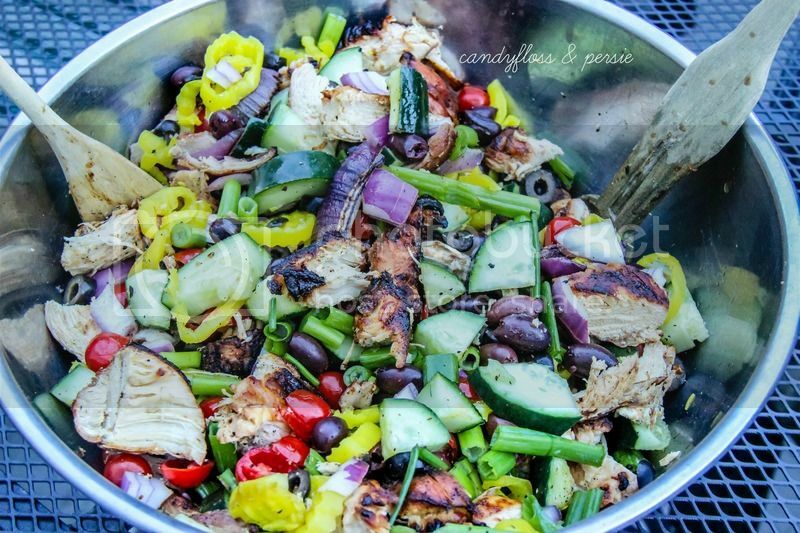 I'm a big fan of veggies and always looking for different combinations to make for salads and strifrys. This is one I have tried. Looks delicious! so i googled the bees knees but am getting lots of conflicting info so i don't know hahaha. i love veggies too! peas are the bomb. do you like mashed potatoes? my mum used to make us mashed potatoes with peas, mash it all up (turns the potatoes green) and put it on toast. it sounds weird and awful but trust. it's amazing. i need to start eating salads for lunch. i do like veggies, but i am lazy. I should not be reading this right before lunch. This looks sooo amazing. Now I'm sad I have to go home and eat a lame sandwich. Hahaha! This salad look so good! I love how it's fun of different things making it really hearty! Yumms! I love veggies, I crave veggies all the time...! This looks delicious and so healthy! !